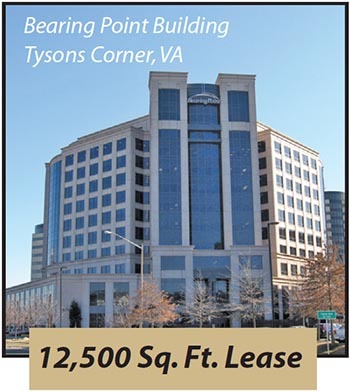 The commercial real estate leasing market is multi-faceted and complex. There are a multitude of options when it comes to making leasing decisions. Full service, Net Lease, Modified Full Service, Industrial Gross, Lease with an option to Buy, are important factors when evaluating leasing alternatives. It takes an experienced professional to navigate the intricacies of each transaction and make the best deal with the most favorable terms. I offer over twenty-five years of leasing experience to my clients. Let me provide you with outstanding service and results. 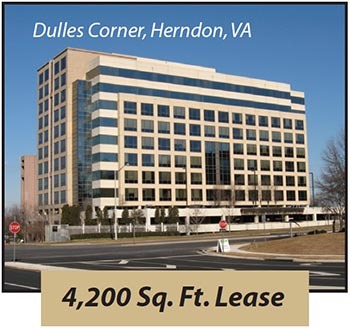 Increasing job growth and federal government spending continues to fuel the need for office space in the Dulles Corridor. However in the past year, vacancy rates have continued to increase and rental rates have declined. The market has become “Tenant Friendly”. What does this mean to you? Landlords are in fierce completion to sign new Tenants for their property. Tenant incentives such as free rent, generous build out allowances, and competitive rental rates are available. The need for professional assistance can save you time, money, and ensure you find the best property. Preparing property tours, Letters of Intent, and negotiating the lease are all services that I offer. Whether you are a start-up business, or an established business with hundreds of employees, let me show you the easy way to acquire your property. Freight forwarding, storage, manufacturing, and food service are fueling the growing real estate demand for Industrial property. Dock or drive in doors, truck courts, height of ceilings, convenience to traffic arteries are all important considerations in the leasing decision. Most of these properties are “net” lease properties, so careful consideration to operating expense “pass-through’s” are important. I can help you through the process of evaluating the many available choices. My Knowledge and experience in Leasing ensures Tenants and Landlords a smoother transaction with terms that are more advantageous. A hybrid-type of property that combines the high ceilings and loading capabilities of a warehouse with a traditional office building is a “flex building”. 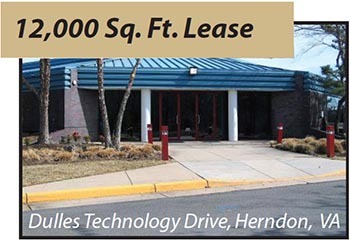 Many of these buildings are available in the Dulles Corridor. They offer the parking capacity, assembly space, ease of loading freight, and the plentiful window design for office workers in one convenient space. They offer a cost effective way to grow your business. I have the knowledge and the commitment to my clients that facilitates a seamless transaction. Let me show you the “How To’s”. With the large growth in population that has occurred in the Dulles Corridor, the retail sector is our tightest market with high demand and rising rents. Be it Landlord or Tenant, the leasing issues can be onerous. Marketing is paramount. How do you market a prospective Tenant to the Landlord? 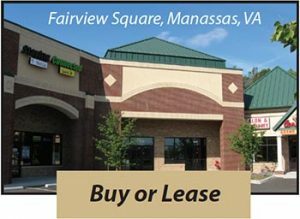 How do you market a shopping center to provide the proper Tenant mix at favorable rents for the Landlord? My experience in the retail sector makes me the choice to handle your key issues. This is an important decision that faces all users of commercial property at one time or another. When lease rates are significantly lower than the amount of money it will take to acquire and operate a property then it may make more sense to lease rather than buy. The business plan of the user is key. What is the length of time the user will require this property? Does it allow for business growth? Leasing may provide more flexibility to a rapidly growing business. Let me provide you with the information you need when making this critical decision. When business plans are short or uncertain then leasing may provide a much better option than buying. Space requirement can change with your Business Plan. Invest more money into business operations. Entire lease payment is tax deductable. With Higher Vacancy Rates…comes Tenant friendly deals.